Meet Misty! 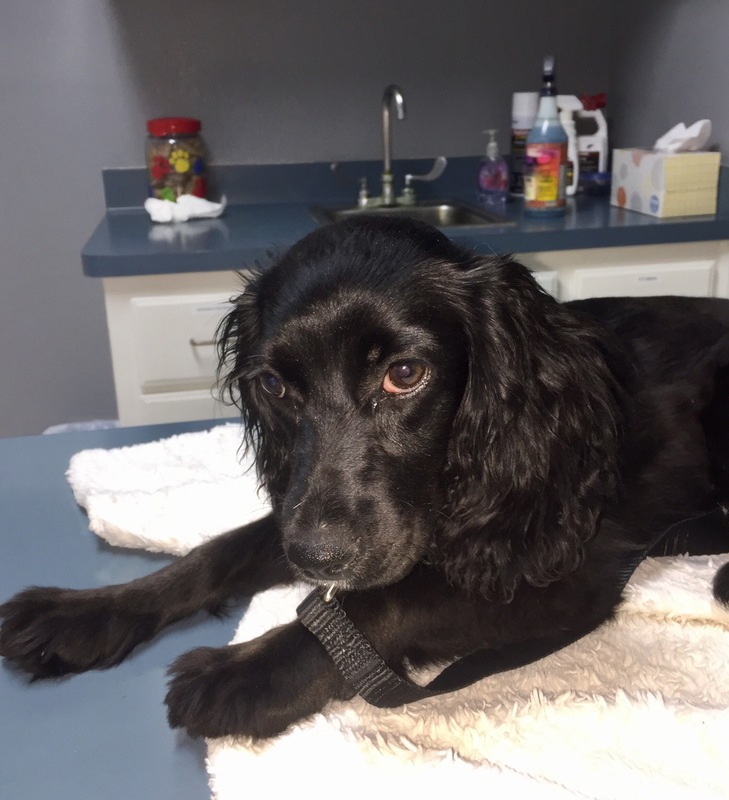 Misty is a sweet, little, 5 month old cocker female puppy! She is very small at just 12 pounds. She has beautiful silky black fur, with just a bit of white on her chest. She loves to cuddle, and to give you kisses. She whimpers when she can’t see her people. It seems like forever since she came here to my home, but it has only been 12 hours since she arrived. She was trembling, and she was hesitant, but not resisting when I came close to her to speak gently, and allow her to sniff my hand. A few hours later, after a bath and dinner, she curled up beside me to sleep. The sleep of an innocent dog, that no longer had to fear being hurt and neglected. You see, Misty had just been rescued from HELL! A home where she was thrown across the yard, kicked repeatedly, and thrown into the deep end of a swimming pool that was over her head. The last incident was witnessed by our rescuer. Her tormenter was a 12 year old boy. He has been abusing dogs for years, and Misty was his 3rd known victim. She was injured and has been neglected her whole life. She had a vet appointment this morning at 8 am. My Vet examined her thoroughly, and X-rayed her limbs. Misty had several breaks in each of her front legs. One break causes her to limp slightly. The breaks have begun to mend, and so we will give her time to heal before determining if she needs surgery in the future. I will confess to you that I am sickened to the depths of my soul over the evil things that happened to this little girl. I became involved in rescue about 4 & 1/2 years ago, and this incident literally sent a cold chill over me. It was a deliberate act of cruelty, that no one tried to stop until they were threatened with calling law enforcement. When I saw the picture of Misty hiding in the bushes, I knew it was going to be bad. Her eyes looked sad, and old for her tender years. I am in the process of filing animal cruelty charges against the family. My goal is to use this evidence to keep that family from ever owning another animal. Please keep Misty in your thoughts and prayers! We will continue updates to everyone that has shared her story, and are following her journey. Please consider helping with Misty’s mounting medical bills. Misty will also need a permanent home soon. Please pray for someone who will care for her, and cherish her for the rest of her life, as she deserves. The child who perpetrated this situation is mentally ill and needs treatment. The adults who knew of the situation and did not address it should be severely punished. This makes me both sad and angry. G-d bless you, Debra Shelton, for saving Misty’s life. That kid that hurt her needs his a** kicked! I hope he gets in trouble with the law. At his age he knows better so something needs to be done before he gets worse! I WILL TAKE MISTY IN A HEARTBEAT. My Cocker was the best Baby I EVER had! We’re charges brought on the parents and this horrible 12 yr old child ? Just absolutely horrible. This is a future murderer and wife abuser. What the hell is wrong with people? What has gone on in this child’s life that he thinks this is ok and why would his parents continue to get him animals when he just tortures them? Neither the child nor his parents should ever have a pet again! Thank you for stepping in and saving this poor girl. WHY AM I TOO FAR AWAY TO SAVE THIS POOR BABY! SHE NEEDS LOVE!!!!! You are in PA, we are in CA. Thank you Debra Shelton for rescuing sweet Misty. Hope the young abuser gets help! Very scary!! I wonder if the parents are going to wait until his behavior progresses until he kills something. Although I understand this is a juvenile it wont hurt to put out the parents names and area this happened in. You could be saving another animal or child from abuse. If it were my neighbors kid I certainly would want to know. This poor puppy! Please do everything in your power to prevent them from ever having any more pets. Please have cps come in to help this deeply troubled kid. This is a cry for help and if left untreated he will do this to other kids. Where are you located? 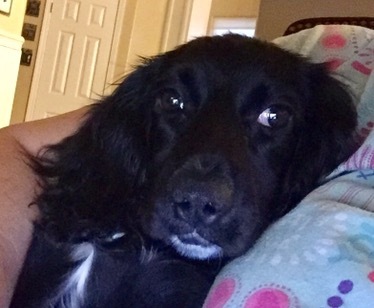 I’d love to give a cocker a loving home. another tale of despicable human beings. Raising a killer/tormentor and having no conscience. Poor baby pays a high price and I’m wondering why neighbors knew of this and did nothing either? I’m learning more and more why I prefer animals to people. 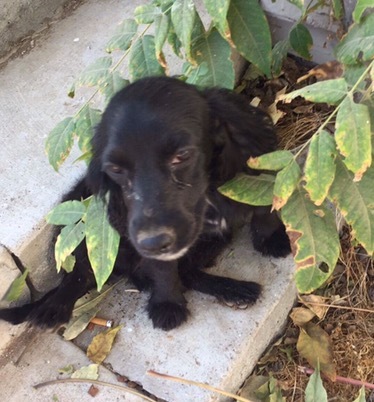 Hi Debra – Really appreciate you filing animal cruelty against this family. This sick kid is on his way to hurting more animals and humans. Where is this? ‘The authorities need to do their job and charge the parents, remove all animals from the home, and make sure this 12 yr old is charged as a juvenile with animal cruelty. He needs to face consequences and treatment or he will go on to KILL other animals and possibly humans. I met Misty at her Forever Home and she is just the sweetest little girl. She found herself the best family and will have an amazing life with them. I’m so sad for what she has gone through in her short life so far but very happy that she found her way to a perfect home where she will be loved and spoiled. I am sickened by Missy’s story. That family should never own another animal. However that sounds impossible to enforce except by random checks by animal control or local law enforcement. The person who has abused animals in that family sounds like an sociopathic individual. Thank you for your rescue of poor little Misty.